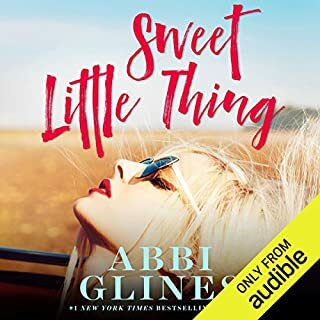 In the follow-up to Abbi Glines' number one New York Times best seller Until Friday Night, three teens from a small Southern town are stuck in a dramatic love triangle. Willa can't erase the bad decisions of her past that led her down the path she's on now. But she can fight for forgiveness from her family. And she can protect herself by refusing to let anyone else get close to her. High school quarterback and town golden boy Brady used to be the best of friends with Willa - she even had a crush on him when they were kids. But that's all changed now: Her life choices have made her a different person from the girl he used to know. Gunner used to be friends with Willa and Brady, too. He, too, is larger than life and a high school football star - not to mention that his family basically owns the town of Lawton. He loves his life and doesn't care about anyone except himself. But Willa is the exception - and he understands the girl she's become in a way no one else can. 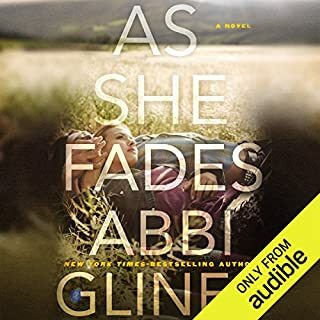 As secrets come to light and hearts are broken, these former childhood friends must face the truth about growing up and falling in love...even if it means losing each other forever. ©2016 Abbi Glines (P)2016 Simon & Schuster, Inc.
Beware! Glines must've had to complete her yearly August deadline without having an ending for this Young Adult Field Party series book. It was good but then it just ended without conclusions for many of the main characters. Book 1 was fantastic. Disappointed if she makes the rest of these once-a-year series cliffhangers. I felt the storyline was going around in circles. It could have been better! 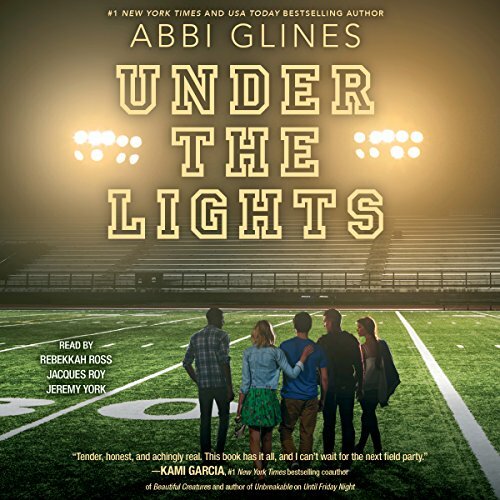 Has Under the Lights turned you off from other books in this genre? I don't know, I hope not!!! The two male voices sounded alike, you willing have to pay attention to tell the difference between Brady & Gunner. If you could play editor, what scene or scenes would you have cut from Under the Lights? I would add more scenes to the book. Gunner's family drama was really interesting, it needed more of a storyline. Gunner was all over the place. I felt Willa's character was weak, I would changed it, make her to become a strong independent young girl, finding herself. Abbi may have lost her touch?! This book was a bit boring. The ending felt slightly rushed. I expected more. 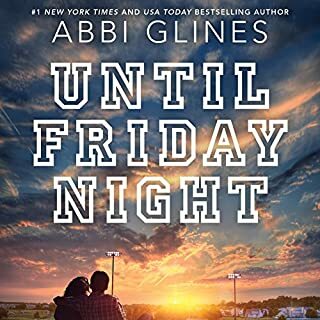 I'm usually a huge fan of Abbi Glines' books however these last two have lost me. The books weren't terrible just meh. Not what I've come to expect from her. I didn't love this one as much as "Until Friday Night". The story was okay and overall sweet. 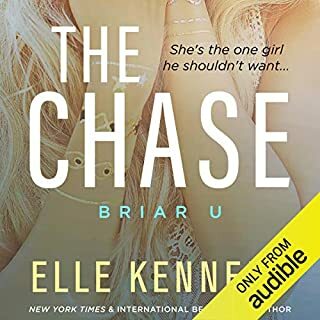 I wasn't crazy about the male narrators, especially the voice of Gunner, but I did enjoy the female narrator. Ready to move on to the next book and find out how Brady's story turns out. Under the Lights is so interesting. its a great way tell another side to the story of friday night lights. This Book is a must! love love love love love love love love love love love love love love love this book so much it is amazing! i had to double check when it ended. the story never really started which is sad considering it had the potential to be really good. I feel like an entire portion of the book was cut out. I loved the story line and narration. I connected with all three characters and was emotionally invested in their lives. However felt the story ended incomplete for one of them, leaving me both disappointed and unsure if I'll continue with this series. 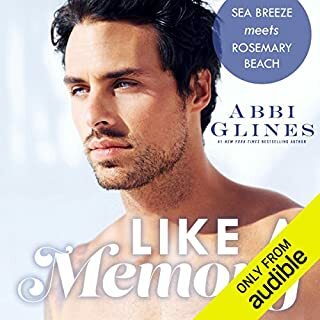 Another great book by Abbi Glines! She has made me fall in love with all of the characters just like in her other series! This is worth your time and credit!! I can't wait for the next one! !